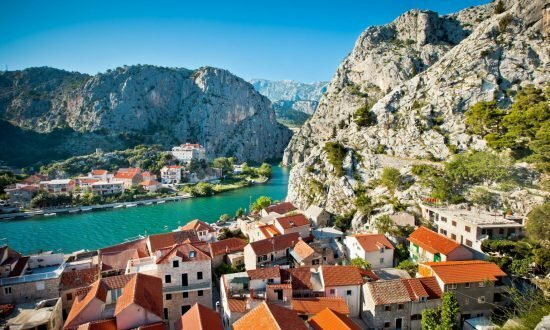 More than 1,200 islands dot the Adriatic Sea off the coast of Croatia, easily making it one of the most delightful sailing locations in all Europe. Croatia’s intricate coastline and its offshore islands were created by a dramatic rise in the sea level 13,000 years ago. Sheer cliffs, dramatic reefs, and protected inlets and anchorages await you at every turn. Known as the Republic of Croatia today, the history of this southeastern European nation reaches back into antiquity. It was part of the Austro-Hungarian Empire until the end of World War I, when it became part of Yugoslavia. Croatia broke away from Yugoslavia in 1991, joining NATO in 2009 and the European Union in 2013. The Adriatic’s deep azure contrasts with lush green landscape and white stone one sees on Istria, Croatia’s largest peninsula. The coastal landscape of Kvarner, with its gentle Mediterranean climate, rises almost immediately to meet the inland mountains and forests of Gorski Kotar. Because it offers travelers such a beautiful juxtaposition, Kvarner is a popular tourist resort. Zadar in the northern part of Dalmatia is a region of historical importance, richness, and unique natural landscapes. Here, as in Istria, vivid colors are what visitors first note. The iridescent blue sea contrasts with the deep green of pine trees and olive groves that stretch to the white stone shoreline. 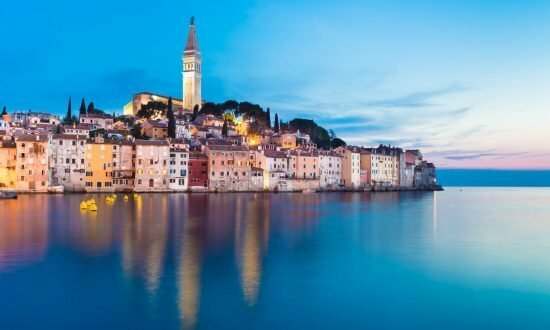 Although it’s not yet a member of the Schengen area, Croatia allows EU nationals to enter the country with a valid national identity card (no passport or visa required). Australian, Canadian and U.S. citizens must have a return ticket in their possession upon entering Croatia. 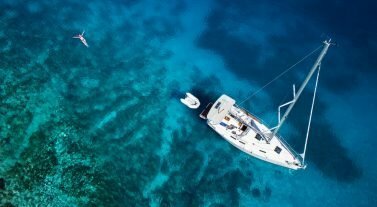 The Croatian Government requires all recreational skippers chartering Croatian flagged vessels to have an International Certificate of Competence (ICC) license. Imports of unauthorized firearms and ammunition and nonprescription drugs are banned. 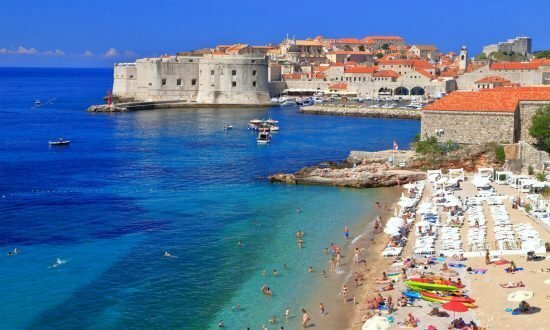 Croatia restricts the importation of plants, animals and food. Croatia requires an export license for articles of archaeological, historical, ethnographic, artistic and other scientific or cultural value. 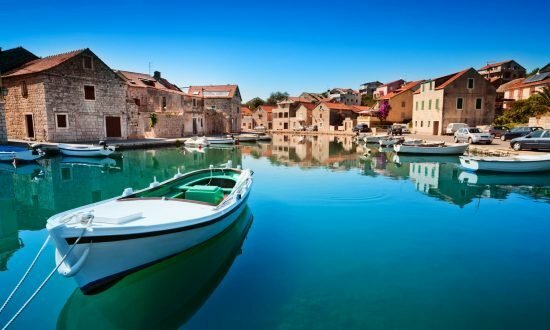 Temperature: Croatia’s coastline and islands, from Istria in the north down through Dalmatia in the south, are governed by a Mediterranean climate. The mean summer temperature is between 24°C (75°F) and 26°C (79°F) along the coast. (It is usually several degrees cooler in the northern Adriatic than in the South). Winds: The most frequent wind in Dalmatia is the southeasterly Jugo. It blows toward the mainland in autumn and winter, bringing with it warm, moist air. The Bura, however, is a cold, dry wind that blows from the mainland in sudden, powerful gusts, bringing dry air and cooler temperatures. The westerly Mistral is a pleasant summer wind that blows in from the sea, reaching its peak force in early afternoon. It refreshes the air and chases away any mugginess. Day 6: A sail through the “sea of Murter” takes you along the side of the Sibenik archipelago into the Krka River. The waters are rich in delicious fish, squid, and other delicacies. Skradin, the village at the end of the channel is known worldwide. Stroll through the village streets and taste the local specialties. It’s the ideal place to buy souvenirs and local products such as olive oil. Day 7: Stroll in the village of Skradin. In the afternoon, drop anchor for a while before returning to Sibenik and Zaton.